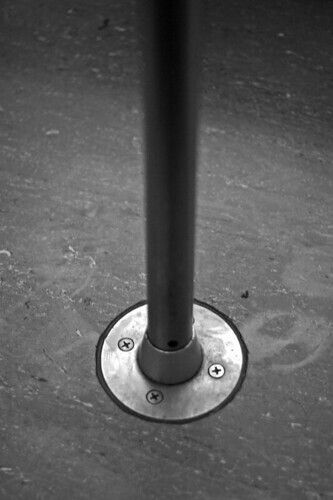 Subway Pole Base, originally uploaded by denmar. I have a lot of TTC subway photos, not because I love to shoot in the subway It's just that when you spend about two hours on it everyday you have to find to fill time to make it go by faster. I love the footmarks on the ground in this one. Simplicity can be so great sometimes. Of course this is one of the older subways, they tend to look nicer anyways.